The French Revolution: a history. The French Revolution : a History. The French Revolution. A History. 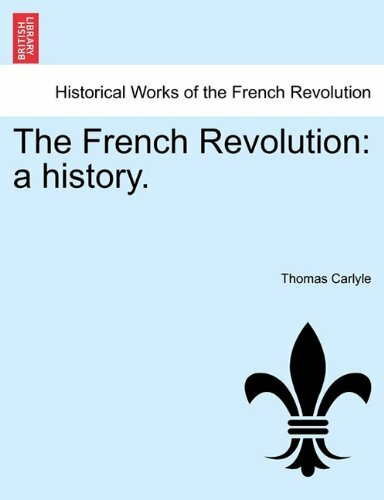 The French Revolution: a History was written by Thomas Carlyle. The French Revolution: a History was published by The Heritage Press. About Thomas Carlyle (Author) : Thomas Carlyle is a published author. 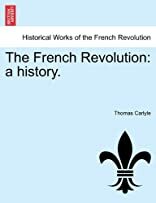 Some of the published credits of Thomas Carlyle include Thomas Carlyle on CD-ROM, The French Revolution: A History (Modern Library Classics). About Bernard LaMotte (Illustrator) : Bernard LaMotte is a published illustrator. A published credit of Bernard LaMotte is The French revolution: A history.